Thanks to Eddie Ramirez MD The T Colin Campbell Centre for Nutrition Studies for this infographic. Every child has the potential to be a genius. Be professional. Mothering and fathering are the most important professions in the world. Don’t apologize, don’t compromise, and don’t be bullied into doing anything you do not understand or with which you do not agree. You know your own child better than anyone else. Be organized. Mothers have a huge job, often with little or no real help. Make a plan; make reasonable weekly goals. Be consistent. Whatever you decide is worth doing with your baby, do it every day. Be flexible. Change your battle plan when the situation demands it. Have a back-up plan. Stay home as much as possible. This is especially important in the first three months. Try to limit errands to once a week. Let household perfection take a backseat to the baby. Make the morning sacred. This is the golden time for your baby. If you must leave the baby with another on a daily basis, make sure it is in the afternoon. Do everything in your power to ensure that you and your baby have the morning together. Eat properly. Mothers never do! Sleep properly. Almost all mothers of very young children have chronic sleep deprivation. All fathers know this! Start by getting one extra hour every night, no matter what. (Father will help you; he is already worried about this.) It will take 6 to 8 weeks to begin to feel much better. Now that you feel better, get more sleep. Watch your creativity blossom, and your sense of humor return intact, and not a moment too soon. You are going to need it when the baby starts walking! Be joyous. 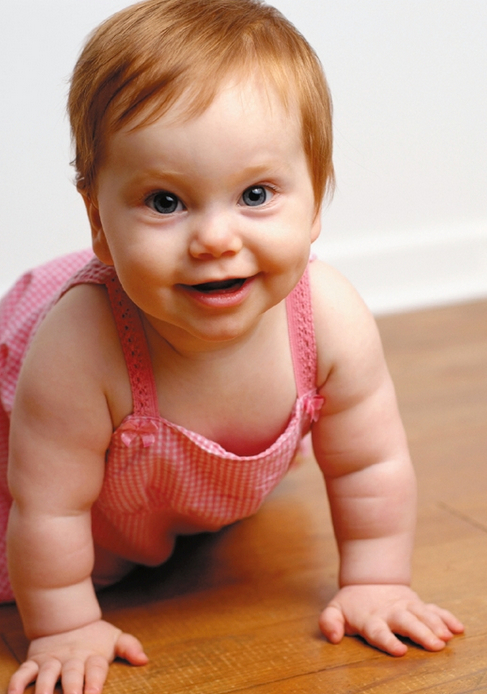 Your baby loves to see you smile and laugh. Find those things that make both of you happy, and do them! No guilt. Do not waste one second worrying about the ten things you did not do today. Join the club—we are all in it. Instead go to bed, get some sleep, and wake up ready to have another great day.